The Associated Press revealed today that the state of Louisiana has spent three years and over $1 million so far fighting a lawsuit that would require them to put air conditioning on death row. An expert for the plaintiffs estimated that installing air conditioning would have cost around $225,000. Small government! Fiscal responsibility! The AP report is the result of public records requests; they found that the state preferred to spent about $1,067,000 so far in legal bills rather than accede to the pleas of three death row inmates who filed suit in 2013. 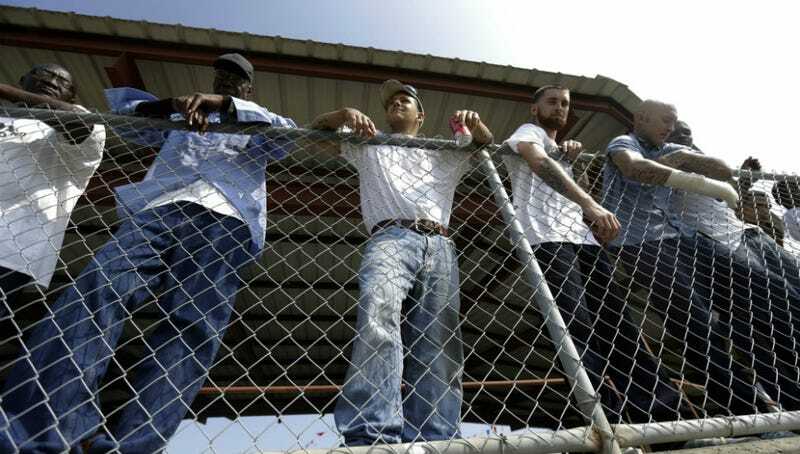 The inmates are Elzie Ball, Nathaniel Code, and James Magee, all sentenced to death and imprisoned for many years at the Louisiana State Penitentiary at Angola. They’re represented by the Promise of Justice Initiative, a non-profit law firm. All three men have medical conditions that their lawyers say make them prone to heat-related illnesses; the lawsuit doesn’t seek any monetary damages, but just asks that the temperatures in the prison be kept at livable levels. In 2013, all three men testified that the heat at the prison is unbearable in the summer; Code likened it to being “on fire.” A district court judge ruled that year that by regularly exceeding 88 degrees, the conditions at Angola violated the Eighth Amendment, which protects against cruel and unusual punishment. Louisiana’s attorneys argue that the consequences would reverberate far beyond Angola’s prison walls, spawning more lawsuits from prisoners across the country demanding air-conditioned cells. “It would be a large burden on the prisons to have to set forth the costs to implement these measures,” Grant Guillot, an attorney for the state, said during an appeals court hearing last year. One such lawsuit — filed in 2014 in Texas — claims at least 20 prisoners have died of heat-related causes in that state since 1998. That Texas lawsuit, too, is ongoing. The Human Rights Clinic found last year that the temperatures in prisons there, too, can be hellish and potentially lethal. The Texas Department of Criminal Justice confirms that only certain units, like prison hospitals and psychiatric units, are air conditioned.